We have some BIG news! 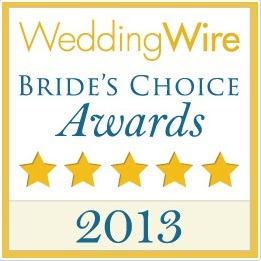 Because of the people who nominated us, Liven It Up Events has won the Bride’s Choice AwARD 2013 from Wedding Wire! This is such a wonderful achievement and a great way to start off the new year! Thank you so much to everyone who voted for us, worked with us, and booked us for their special event this past year! We couldn’t have done it without you!